As a regional hybrid estate agents, Goodfellows are perfectly placed to secure you a tenant and manage your property, whatever its style, size or location. We provide a range of services to suite your requirements, all competitively priced. Crucially, we also only charge the new tenants an administration fee of just £195, irrespective of the monthly rental. With many agents charging tenants as much as 50% of the monthly rent, this makes us the agent of choice for prospective tenants and speeds up the tenant finding process. For further information or to arrange a free, no obligation rental valuation, please telephone 01661 829 164, call into our office or click here. Goodfellows employ state of the art software, allowing us to easily match you to suitable properties and contact you as soon as a property comes onto the rental market. 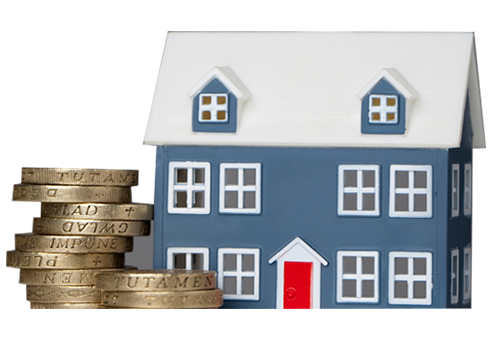 Our Administration fee is very reasonable at only £195 (£234 Incl VAT)** irrespective of rental value. This covers the cost of your agreement and all relevant referencing and credit checks. Our commitment to you is that we ensure all necessary safety certificates are awarded to the property before you move in and that there is a current EPC (Energy Performance Certificate) if required. We ensure smoke alarms are fitted to all floors and landlords are made aware of any new regulations they need to follow to ensure your safety. Please feel free to call us or even visit our office for a chat or to register for your perfect property. * Tenants Administration fee is non-refundable. We will not take a fee from you until the landlord accepts your application. Please make sure you complete your application form correctly to avoid any disappointment or loss of administration fee. Goodfellows offer a free, no obligation valuation. Tenants Admin Fee £195.00* (Based on 2 applicants 18 years and over - £30 per additional applicant 18 years and over) this fee is non-refundable. Please take care to fill out the application form correctly. We will not take a fee from you until your application has been accepted by the Landlord. Guarantor Admin Fee £30.00 (only applicable if a guarantor is needed). Amending an Agreement from £50.00 (If an additional Tenant moves in there would be a charge of £30.00 per additional Tenant). If you need to end your Tenancy early, this may be possible with written permission from your landlord or Goodfellows. You would need to pay the Tenant Find Fee on behalf of your landlord. Tenant find 39% of the first months rent (subject to a minimum of £195.00). Tenancy Agreement Renewal £50.00 (based on 2 occupants 18 years and over).